30 Days of Motivation: Taste This! 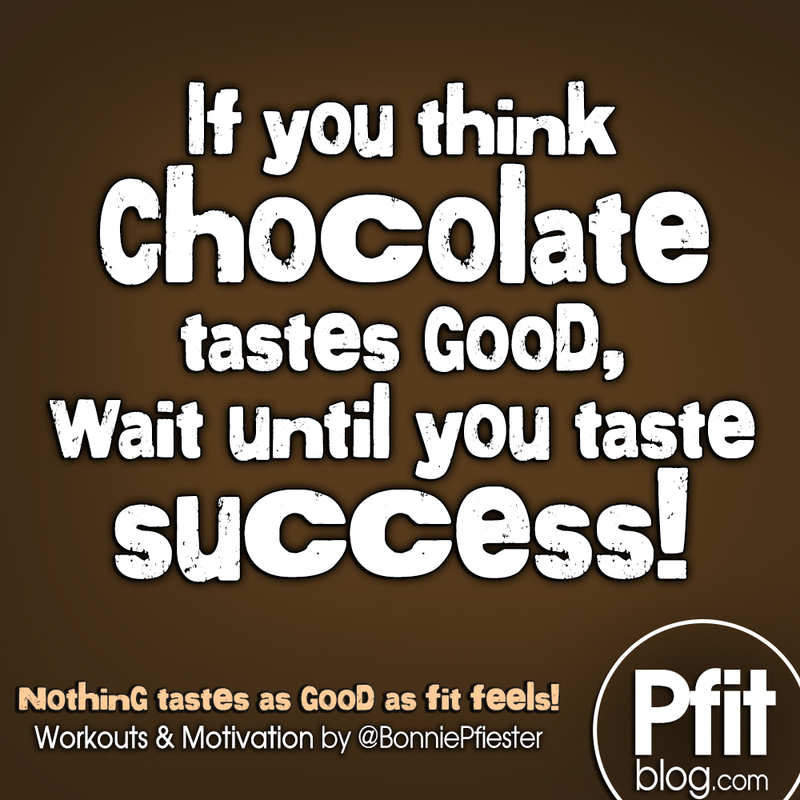 Quote of the Day: If you think Chocolate tastes good, wait until you taste success! Someone recently was telling Steve how “lucky” he was for having such amazing dedication and self discipline, as if he had extra self-control super powers and dieting was easier for him than others. I have to laugh at this, knowing just how much he struggles with his diet. Why do people think it’s easier for the “fit people” to avoid sweets or not overeat? Then I realized, maybe it is a little easier for those who have already tasted success, because they realize success tastes better than the food they may have to give up.They know without a shadow of a doubt that it is all worth it. It is hard to give up something for nothing, or for something they’ve never experienced before. It’s hard to invest in something when you have not yet enjoyed the even greater return. However, when you know how it feels to be fit, trim, feel good, feel more comfortable in your skin, feel stronger, feel healthier, etc., maybe it is a tad easier to stick with your diet. Then, trading regular coke for diet coke, or pizza for grilled chicken, seems easy. I believe that is why scripture says “taste and see” (Psalms 34:8). God knows if we will just give Him a try, and taste His goodness, nothing will compare to it. I believe the same is true for fitness and taking care of our bodies. We are so fooled into thinking that certain foods, or living a certain lifestyle, is worth the extra pounds. However, if you’d just “taste and see”, I believe you’d realize nothing compares to living in a healthy body. Suddenly, sluggishness, heaviness, tight pants, high blood pressure, insecurities that follow weight gain, and all the repercussions of a lack of self-control make that lifestyle no longer worth it. But first, you must “taste and see” so you can make that comparison for yourself – because until you experience it yourself, you cannot fully understand and comprehend the reward. Stick to your goals this year, long enough to truly taste and see how it feels to reach your goal – and I mean your dreamy goal, not your first goal. No! I’m talking about pressing on past what is good to what is great! Don’t stop short of your very best. THEN, you can say you’ve tasted success – and THEN, you’ll know just how good it really is and maybe then passing up the sweets or sticking to your plan will also be a little easier for you too! 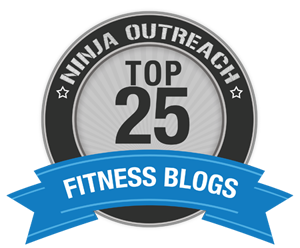 A NOTE FOR DIETERS: Don’t get me wrong! Being fit doesn’t mean you never have chocolate again. However, when you are in the dieting phase and trying to lose weight, it may mean you are giving up some things (or not eating as much as you’d like of those things). The diet phase is more strict, but maintenance phase is much easier, and will allow room for occasional treats and freedom. The key is balance and accountability. Once a treat becomes a habit, the weight will creep right back on. Stick to your plan. I do promise it will be worth it. No one feels a set of tight tone abs and thinks “boy I wish I had eaten more pizza”.